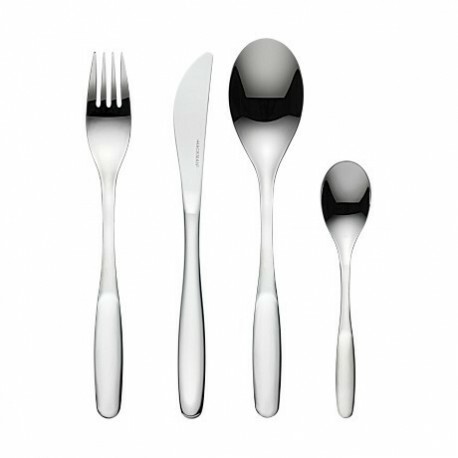 The simple but distinctive form of the Savonia cutlery set is a classic that suits both modern and traditional table settings. The timeless everyday cutlery collection combines perfectly with pure shape tabletop series like Teema and Kartio. The simple but distinctive form of the Savonia cutlery set is a classic that suits both modern and traditional table settings. The timeless everyday cutlery collection combines perfectly with pure shape tabletop series like Teema and Kartio. The 24-pcs cutlery set includes 6 dinner forks, 6 dinner knives, 6 dinner spoons and 6 tea spoons. Quality stainless steel. Adolf Babel (b. 1934) is a German designer who has gained international success for his designs. He studied architecture at the University of Stuttgart and design at the University of Berlin. After graduating, he travelled to Finland, fascinated by the culture of rational design and top-notch quality in Finnish manufacturing.